Dr. Avramova is currently an Associate Professor and Director of Reactor Dynamics and Fuel Modeling Group (RDFMG) at North Carolina State University. She earned her Ph.D. degree in nuclear engineering from Pennsylvania State University (PSU) in 2007. Prior to joining PSU in January 2001, she held a research scientist position at the Institute of Nuclear Research and Nuclear Energy, Bulgarian Academy of Science, Sofia, Bulgaria. After her graduation, Dr. Avramova has held positions at PSU of post-doctoral scholar, Assistant Professor, and Associate Professor of Nuclear Engineering. Over the past years, she has led high visibility international projects such as the Organization for Economic Co-operation and Development, Nuclear Energy Agency (OECD-NEA) / United States Nuclear Regulatory Commission (U.S. NRC) BWR Full-size Fine-mesh Bundle Test (BFBT) benchmark and the OECD-NEA/U.S.NRC PWR Subchannel and Bundle Tests (PSBT) benchmark. She is also one of the coordinators of the OECD LWR Uncertainty Analysis in Modeling (UAM) Benchmark, which is on-going and will continue for next few years. Dr. Avramova has taught undergraduate, graduate, and post-graduate courses in the areas of introduction to nuclear engineering, advanced reactor design, design principles of reactor systems, reactor core thermal-hydraulics and uncertainty quantification, reactor kinetics and dynamics, nuclear fuel performance, and high fidelity multi-physics nuclear reactor simulations. Dr. Avramova has advised and graduated 10 PhD students, 15 MS students, and 38 MEng students. Dr. Avramova has published more than 100 papers in peer-reviewed journals and proceedings of international conferences. 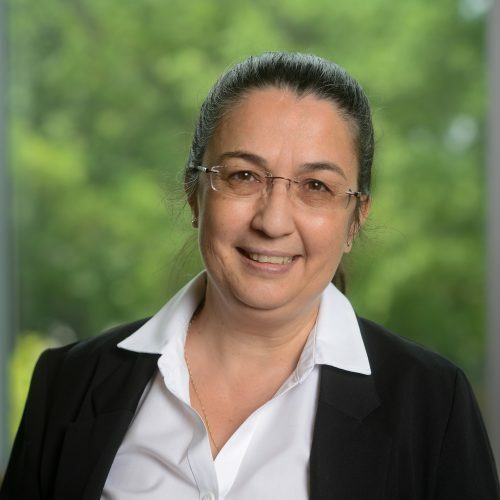 Dr. Avramova's research areas include reactor thermal-hydraulics; core design; transient and safety analysis; multi-physics and multi-scale simulations; verification and validation; and uncertainty and sensitivity analysis. The project will utilize CTF and will develop CTF features important for coupling with system codes such as TRACE and RELAP-3D. The proposed project seeks to establish a technical basis for, and preliminary development of, a Nearly Autonomous Management and Control (NAMAC) system in advanced reactors. The system is intended to provide recommendations to operators during all modes of plant operation except shutdown operations: plant evolutions ranging from normal operation to accident management. These recommendations are to be derived within a modern, artificial-intelligence (AI) guided system, making use of continuous extensive monitoring of plant status, knowledge of current component status, and plant parameter trends; the system will continuously predict near-term evolution of the plant state, and recommend a course of action to plant personnel. The proposed new approach is made possible by advances made in the companion LDRD project. Specifically, the quantification and control of the error in microscopic cross sections at the ultra-fine energy group computation stage make possible the propagation and control of error in subsequent computational steps. This in turn provides the possibility to devise a rigorous approach to determining coarse energy group boundaries in an automated algorithmic way. The proposed approach leverages early results from the LDRD and complements and enhances the LDRD by providing a rigorous method for coarse group generation that was not considered in the LDRD as previously proposed and approved.